The same advanced, edge-lit LED technology that drives the latest HDTVs, powers the R series flat panel product family. 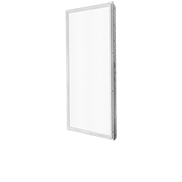 Ideal for new construction or retrofitting existing troffers, our LED Flat Panels provide even illumination and over 17% higher efficacy than the competition. 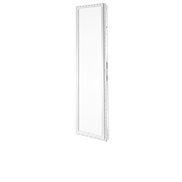 Built with the latest LED chips and most efficient drivers, the R series has a variety of packages, 2x2, 1x4 and 2x4 flat panels, fully dimmable with 3500, 4000 and 5000K color temperatures. RCA R series LED Flat Panels outperform the competition with superior LED chips that deliver up to 125 Lumens per Watt, LG-Innotek drivers that use less energy while generating less heat, and integrated heat sinks that provide years of trouble-free operation. RCA LED Flat Panels are designed to install easily in any location. Whether you need recessed, surface mounted or suspended lighting, RCA LED Flat Panels feature fully sealed, lightweight plastic enclosures that are significantly lighter than traditional steel troffers. RCA LED Flat Panels include technology developed for edge-lit television, along with rounded back panels and impact-resistant frosted lenses that completely eliminate glare and hot spots. This results in a smooth, even distribution of light that reduces eyestrain. RCA LED Flat Panels were designed from the start to minimize maintenance costs and hassles. Fully-sealed fixtures prevent the build up of dust and debris, while the frosted impact-resistant lens features a smooth surface for easy cleaning.